When considering theories of learning, LIDT professionals should also consider sociocultural perspectives and the role that culture, interaction, and collaboration have on quality learning. Modern social learning theories stem from the work of Russian psychologist Vygotsky, who produced his ideas between 1924 and 1934 as a reaction to existing conflicting approaches in psychology (Kozulin, 1990). Vygotsky’s ideas are most recognized for identifying the role social interactions and culture play in the development of higher-order thinking skills, and it is especially valuable for the insights it provides about the dynamic “interdependence between individual and social processes in the construction of knowledge” (John-Steiner & Mahn, 1996, p. 192). Vygotsky’s views are often considered primarily as developmental theories, focusing on qualitative changes in behavior over time as attempts to explain unseen processes of development of thought, language, and higher-order thinking skills. Although Vygotsky’s intent was mainly to understand higher psychological processes in children, his ideas have many implications and practical applications for learners of all ages. Interpretations of Vygotsky’s and other sociocultural scholars’ work have led to diverse perspectives and a variety of new approaches to education. Today, sociocultural theory and related approaches are widely recognized and accepted in psychology and education and are especially valued in the field of applied linguistics because of its underlying notion that language and thought are connected. Sociocultural theory is also becoming increasingly influential in the field of instructional design. In this chapter, we first review some of the fundamental principles of sociocultural theory of learning. We then suggest design implications for learning, teaching, and education in general. Following, we consider how sociocultural theories of learning should influence instructional design. Three themes are often identified with Vygotsky’s ideas of sociocultural learning: (1) human development and learning originate in social, historical, and cultural interactions, (2) use of psychological tools, particularly language, mediate development of higher mental functions, and (3) learning occurs within the Zone of Proximal Development. While we discuss these ideas separately, they are closely interrelated, non-hierarchical, and connected. Human development and learning originate in social, historical, and cultural interactions. Vygotsky contended that thinking has social origins, social interactions play a critical role especially in the development of higher order thinking skills, and cognitive development cannot be fully understood without considering the social and historical context within which it is embedded. He explained, “Every function in the child’s cultural development appears twice: first, on the social level, and later, on the individual level; first between people (interpsychological) and then inside the child (intrapsychological)” (Vygotsky, 1978, p. 57). It is through working with others on a variety of tasks that a learner adopts socially shared experiences and associated effects and acquires useful strategies and knowledge (Scott & Palincsar, 2013). Rogoff (1990) refers to this process as guided participation, where a learner actively acquires new culturally valuable skills and capabilities through a meaningful, collaborative activity with an assisting, more experienced other. It is critical to notice that these culturally mediated functions are viewed as being embedded in sociocultural activities rather than being self-contained. Development is a “transformation of participation in a sociocultural activity” not a transmission of discrete cultural knowledge or skills (Matusov, 2015, p. 315). The processes of guided participation reveal the Vygotskian view of cognitive development “as the transformation of socially shared activities into internalized processes,” or an act of enculturation, thus rejecting the Cartesian dichotomy between the internal and the external (John-Steiner & Mahn, 1996, p. 192). Learning awakens a variety of internal developmental processes that are able to operate only when the child is interacting with people in his environment and with his peers . . . learning is not development; however, properly organized learning results in mental development and sets in motion a variety of developmental processes that would be impossible apart from learning. Thus learning is a necessary and universal aspect of the process of developing culturally organized, specifically human, psychological functions (Vygotsky, 1978, p. 90). Another implication based on Vygotskian views of learning is recognizing that there are individual differences as well as cross-cultural differences in learning and development. As instructional designers, we should be more sensitive to diversity in learners and recognize that a large amount of research has been done on white, middle-class individuals associated with Western tradition, and the resulting understanding of development and learning often incorrectly assumes universality. Recognizing that “ideal thinking and behavior may differ for different cultures” and that “different historical and cultural circumstances may encourage different developmental routes to any given developmental endpoint” may prevent incorrect universalist views of all individuals and allow for environments that value diversity as a resource (Miller, 2011, p. 198). Use of psychological tools, particularly language, mediate development of higher mental functions. Another important aspect of Vygotsky’s views on learning is the significance of language in the learning process. Vygotsky reasoned that social structures determine people’s working conditions and interactions with others, which in turn shape their cognition, beliefs, attitudes, and perception of reality and that social and individual work is mediated by tools and signs, or semiotics, such as language, systems of counting, conventional signs, and works of art. He suggested that the use of tools, or semiotic mediation, facilitates co-construction of knowledge and mediates both social and individual functioning. These semiotic means play an important role in development and learning through appropriation, a process of an individual’s adopting these socially available psychological tools to assist future independent problem solving (John-Steiner & Mahn, 1996). This means that children and learners do not need to reinvent already existing tools in order to be able to use them. They only need to be introduced to how a particular tool is used, then they can use it across a variety of situations solving new problems (Scott & Palincsar, 2013). Vygotsky viewed language as the ultimate collection of symbols and tools that emerge within a culture. It is potentially the greatest tool at our disposal, a form of a symbolic mediation that plays two critical roles in development: to communicate with others and to construct meaning. Learning occurs within the zone of proximal development. Probably the most widely applied sociocultural concept in the design of learning experiences is the concept of the Zone of Proximal Development (ZPD). Vygotsky (1978) defined ZPD as “the distance between the actual developmental level as determined by independent problem solving and the level of potential development as determined through problem solving under adult guidance or in collaboration with more capable peers” (p. 86). He believed that learning should be matched with an individual’s developmental level and that in order to understand the connection between development and learning, it is necessary to distinguish the actual and the potential levels of development. Learning and development are best understood when the focus is on processes rather than their products. He considered the ZPD to be a better and more dynamic indicator of cognitive development since it reflects what the learner is in the process of learning as compared to merely measuring what the learner can accomplish independently, reflecting what has been already learned (Vygotsky, 1978). Vygotsky argued that productive interactions align instruction toward the ZPD, and providing instruction and guidance within the ZPD allows a learner to develop skills and strategies they will eventually apply on their own in other situations (1978). This highlights the importance of instructional decisions related to types and quality of interactions in designing effective learning experiences. Whether these interactions occur with a more experienced other or another learner with similar skills, there should always be a degree of common understanding about the task, described as intersubjectivity., The partners should have a sense of shared authority over the process, and they should actively collaborate to co-construct understanding. It is important to notice that ZPD should be viewed broadly as “any situation in which some activity is leading individuals beyond their current level of functioning,” applicable not only to instructional activities but to play, work, and many other activities (Miller, 2011, p. 178). The notion of instructional scaffolding is closely related to the idea of ZPD. Scaffolding is the set of tools or actions that help a learner successfully complete a task within ZPD. Scaffoldings typically include a mutual and dynamic nature of interaction where both the learner and the one providing the scaffold influence each other and adjust their behavior as they collaborate. The types and the extent of supports provided in a learning experience are based on performance, and the scaffold is gradually phased out (Miller, 2011). The expert motivates and guides the learner by providing just enough assistance, modeling, and highlighting critical features of the task as well as continually evaluating and adjusting supports as needed. Additionally, providing opportunities for reflection as part of the learning experience further promotes more complex, meaningful, and lasting learning experiences. In the case of digital learning experiences, scaffolds are not necessarily provided by individuals, but may be embedded into the experience. Ideas such as ZPD and scaffolding bring to light a fundamentally different view of an instructor who serves more as a facilitator of learning rather than a fount of knowledge. Likewise, the learner takes on more responsibilities such as determining their learning goals, becoming a resource of knowledge for peers, and actively collaborating in the learning process (Grabinger, Aplin, & Ponnappa-Brenner, 2007). This shift in roles promotes individualized, differentiated, and learner-centered types of instruction, and when accompanied with effective pedagogical practices, it has a potential to become a powerful alternative for reforming current educational systems and creating environments where many different individuals develop deep understanding of important subjects (Watson & Reigeluth, 2016). Sociocultural theory has several widely recognized strengths. First, it emphasizes the broader social, cultural, and historical context of any human activity. It does not view individuals as isolated entities; rather, it provides a richer perspective, focusing on the fluid boundary between self and others. It portrays the dynamic of a learner acquiring knowledge and skills from the society and then in turn shaping their environment (Miller, 2011). Second, sociocultural theory is sensitive to individual and cross-cultural diversity. In contrast to many other universalist theories, sociocultural theory acknowledges both differences in individuals within a culture and differences in individuals across cultures. It recognizes that “different historical and cultural circumstances may encourage different developmental routes to any given developmental endpoint” depending on particular social or physical circumstances and tools available (Miller, 2011, p. 198). Finally, sociocultural theory greatly contributes to our theoretical understanding of cognitive development by integrating the notion of learning and development. The idea of learning driving development rather than being determined by a developmental level of the learner fundamentally changes our understanding of the learning process and has significant instructional and educational implications (Miller, 2011). There are also limitations to the sociocultural perspective. The first limitation is related to Vygotsky’s premature death, as many of his theories remained incomplete. Furthermore, his work was largely unknown until fairly recently due to political reasons and issues with translation. The second major limitation is associated with the vagueness of the ZPD. Individuals may have wide or narrow zones, which may be both desirable and undesirable, depending on the circumstances. Knowing only the width of the zone “does not provide an accurate picture of [the learner’s]learning, ability, style of learning, and current level of development compared to other children of the same age and degree of motivation” (Miller, 2011, p. 198). Additionally, there is little known about whether a child’s zone is comparable across different learning domains, with different individuals, and whether the size of the zone changes over time. here is also not a common metric scale to measure ZPD. Finally, Rogoff (1990) pointed out that Vygotsky’s theories may not be as relevant to all cultures as originally thought. She provides an example of scaffolding being heavily dependent on verbal instruction and thus not equally effective in all cultures for all types of learning. The notion of social origins of learning, the interrelationship of language and thought, and the Zone of Proximal Development are Vygotsky’s most important contributions. However, the practical applications of sociocultural theory are also significant that emphasize creating learner-centered instructional environments where learning by discovery, inquiry, active problem solving, and critical thinking are fostered through collaboration with experts and peers in communities of learners and encourage self-directed lifelong learning habits. Presenting authentic and cognitively challenging tasks within a context of collaborative activities, scaffolding learner’s efforts by providing a structure and support to accomplish complex tasks, and providing opportunities for authentic and dynamic assessment are all important aspects of this approach. Sociocultural principles can be applied in effective and meaningful ways to design instruction across the curriculum for learners of different ages and variety of skills, and they can be effectively integrated using a wide range of technologies and learning environments. The challenge remains for educators and instructional designers to elevate our practices from efficient, systemic approaches for teaching and instructional design to a focus on individual learners and effective pedagogical practices to develop empowered learners ready to successfully negotiate the rapidly changing era of information. Technology is at our fingertips, and it is up to us to competently implement its unique affordances to promote new ways to educate and support deep, meaningful, and self-directed learning. Grounding our practices in sociocultural theory can significantly aid our efforts. In this section major characteristics of sociocultural theory important to instructional design will be discussed. These include the focus on the individual learner and their context for learning and the use of effective pedagogies centered around collaborative practice and communities of learners. Most instructional design models take into consideration a common or isolated concept of the learner, but recently, a strong call has been issued for a complete shift in our education and instructional design approaches to reflect our society’s changing educational needs (Watson & Reigeluth, 2016). More contemporary design approaches, such as Universal Design for Learning, recognize that every learner is unique and influenced by his or her embedded context. These approaches strive to provide challenging and engaging curricula for diverse learners while also designing for the social influences that surround them. Sociocultural theory encourages instructional designers to apply principles of collaborative practice that go beyond social constructivism to create learning communities. The sociocultural perspective views learning taking place through interaction, negotiation, and collaboration in solving authentic problems while emphasizing learning from experience and discourse, which is more than cooperative learning. This is visible, for example, in the ideas ofsituated cognition (situated learning) and cognitive apprenticeships. Brown, Collins, and Duguid (1989), seminal authors on situated cognition, contended that “activity and situations are integral to cognition and learning” (p. 32). By socially interacting with others in real life contexts, learning occurs on deeper levels. They explained that “people who use tools actively rather than just acquire them, by contrast, build an increasingly rich implicit understanding of the world in which they use the tools and of the tools themselves” (Brown, Collins, & Duguid, 1989, p. 33). This implicit understanding of the world around them influences how learners understand and respond to instruction. In one study, Carraher, Carraher, and Schliemann (1985) researched Brazilian children solving mathematics problems while selling produce. While selling produce, the context and artifacts positively influenced a child’s ability to work through mathematics problems, use appropriate strategies, and find correct solutions. However, these children failed to solve the same problems when they were presented out of context in conventional mathematical form. Lave (1988) studied tailors in Liberia and found that while the tailors were adept at solving mathematics problems embedded in their daily work, they could not apply those same skills to novel contexts. In addition, Brill (2001) synthesized the work of Collins (1988) and identified four benefits of using situated cognition as a theory guiding teaching and instructional design: (1) learners develop the ability to apply knowledge; (2) learners become effective problem solvers after learning in novel and diverse settings; (3) learners are able to see the implications of knowledge; and (4) learners receive support in organizing knowledge in ways to use later. Cognitive apprenticeships, meanwhile, acknowledge the situated nature of cognition by contextualizing learning (Brown et al., 1989) through apprenticing learners to more experienced experts who model and scaffold implicit and explicit concepts to be learned. Lave and Wenger (1991) wrote about the work of teaching tailors in Liberia and found that new tailors developed the necessary skills by serving as apprenticeships and learning from experienced tailors. Mutual Engagement: Firstly, through participation in the community, members establish norms and build collaborative relationships; this is termed mutual engagement. Joint Enterprise: Secondly, through their interactions, they create a shared understanding of what binds them together; this is termed the joint enterprise. Shared Repertoire: Finally, as part of its practice, the community produces a set of communal resources, which is termed their shared repertoire. Similarly, Garrison, Anderson, and Archer (2000) described a community of inquiry as a community of learners who through discourse and reflection construct personal and shared meanings (Garrison, Anderson, & Archer, 2000). Garrison and Akyol (2013) explained that when social presence is established as part of a community of inquiry, “collaboration and critical discourse is enhanced and sustained” (p. 108). Establishment of solid social presence further reflects in positive learning outcomes, increased satisfaction, and improved retention (Garrison & Akyol, 2013). Integrating sociocultural practices into learning design, for example through creation of communities of inquiry, spontaneously integrates a learner’s previous knowledge, relationships, and cultural experiences into the learning process and enculturates the learner into the new community of practice through relevant activities and experiences (Grabinger, Aplin, & Ponnappa-Brenner, 2007). In the context of technology-enhanced environments, the emergence of new synchronous and asynchronous communication technologies and increased attention to computer-supported collaborative learning (CSCL) and virtual communities of practice create new opportunities for applying sociocultural methodologies, as their affordances allow quality collaboration and new ways of interacting in face-to-face, blended, and online environments (Garrison & Akyol, 2013). In summary, perspectives of social learning recognize that learners develop individually with the support of others in their community, receive support from more knowledgeable others or learning tools within their zone of proximal development, and learn within meaningful situations that are likely to deepen their understanding compared to knowledge void of context. In this section we detail specific examples of learning environments and activities that align to social perspectives of learning. They include collaborative authentic activities, project-based learning, flipped learning environments, and online collaborative spaces. Collaborative environments that encourage learners to think critically and apply knowledge and skills is a central component of social learning theories. As educators strive to create cooperative learning experiences for students, authentic activities and anchored instruction promote sociocultural perspectives of learning by encouraging the contextualization of learning in the simulation of practical problems, the development of cultural skills through guided participation in collaborative groups, and the use of language to both communicate and internalize learning. The implementation of collaborative, authentic activities in learning experiences typically involves learners collaborating to solve problems embedded in real-life situations (Reeves et al., 2002), reflecting learning through situated cognition. Teachers, trainers, and facilitators guide and support these collaborative efforts by scaffolding learning with tools and resources, asking questions that support learners’ understanding, and helping learners to make sense of the problems. Authentic activities contextualize learning and allow for a diverse application of skills and knowledge within real-world scenarios. In the literature these authentic activities have sometimes been referred to as anchors or the process of anchored instruction, which focuses learners on developing knowledge and skills through collaborative problem solving experiences (Bransford, Sherwood, Hasselbring, Kinzer, & Williams, 1990). This type of learning allows students to engage in problem solving within learning contexts that provide for connection-building across the curriculum in order to develop meaning (Bransford et al., 1990). Typically presented in a narrative format, anchored learning begins with the “anchor,” or story in which the problem is set, and uses multimedia outlets to allow students to explore the problem and develop multiple solutions (Bransford et al., 1990). As students collaborate and engage with the material, the teacher becomes a coach and guides students along the process. Through both authentic activities and anchored instruction, learning takes place in a social setting, encouraging students to develop, share, and implement creative solutions to complex problems as collaborative teams. One example of a collaborative, authentic, anchored learning experience is the Jasper Woodbury mathematics project developed for middle school mathematics students (Cognition and Technology Group at Vanderbilt, 1997). Learners engaged with pre-designed tasks presented as an adventure on a video-disc, and they had to identify needed information, determine how to examine a task, and apply their solutions to an immediate sub-problem (CTGV, 1997). The teacher’s role was to facilitate the experience by asking questions and facilitating discussions of the information in the adventure as well as the mathematics concepts embedded in the situation. Research from the project indicated that learners showed greater understanding of how to solve mathematics problems than their peers who had not participated (Hickey, Moore, & Pellegrino, 2001). Project-based learning engages learners in collaborative situations where they must address a complex problem or real-world challenge. According to Vygotsky’s ideas, this collaborative learning style naturally fosters students’ development of higher-order thinking skills. Problem-based learning environments have been empirically linked to K-12 students gaining a deeper understanding of content and greater amount of learner engagement compared to more traditional instruction (Condliffe, Visher, Bangser, Drohojowska, & Saco, 2016; Fogelman, McNeill, & Krajcik, 2011). This instructional method derived from problem-based learning, which was first introduced at McMaster University in Ontario, Canada in 1969 (O’Grady, Yew, Goh, & Schmidt, 2012, p. 21). Although they are alike, problem-based learning and project-based learning traditionally differ in scope and size. Unlike the former, the latter requires students to work together to concurrently master several learning objectives as they apply newly acquired skills and knowledge embedded in several problems to solve (Capraro, Capraro, and Morgan, 2013). Due to the complexity of these situations, most enactments of project-based learning involve learners working in teams on these tasks (Condliffe et al., 2016). Project-based work that is collaborative, however, teaches students how to prioritize and apportion tasks within the project (Garcia, 2017). It also promotes student-initiated inquiry, scaffolding, and soft skill development in areas such as collaboration and communication. Project-based learning is a multi-layered process of acquiring new skills and knowledge to successfully provide a solution to a challenge. Throughout the process, students are constantly gaining new information from multiple sources, including their peers, to guide them to their final solution. Based on the interaction between project-based learning and social perspectives, Hutchins’ theory of distributed cognition helps to make sense of these ideas with the notion that learning is a cognitive phenomena that occurs when new information is shared, or distributed, from multiple individuals, artifacts, and technological devices (Rogers, 1997). Most systems and careers function as a result of distributed cognition: airports, schools, hospitals, and restaurants are all systems that rely on the sharing of information to effectively work. Project-based learning can be viewed in the same manner since students will accomplish more towards the task as more information is shared with them. The more exposed a student is to resources and classmates, the more learning occurs. Students can learn as individuals, but their opportunities for learning are increased when they can engage in a project within a group. One method of maximizing students full engagement in social learning is through a pedagogical model widely known as “the flipped classroom.” In a “flipped” classroom, students prepare for an upcoming lesson by watching instructional videos before class. Instead of using class time for lecture and passive, individual acquisition or practice of skills, students participate in active and social learning activities, a key component of Vygotsky’s theories of cognitive development. Watching lectures in videos before class is beneficial for two reasons. First, students spend more time communicating and constructing knowledge with hands-on activities during class (Educause, 2012). Secondly, as students are watching the videos and learning new skills and knowledge, they can pause, rewind, and think about their learning as it is happening, a phenomenon that rarely occurs during a lecture given in class and in real-time (Educause, 2012; Brame, 2013). In theory, the flipped classroom model is an excellent way to maximize social learning under the facilitation of a teacher. In practice, however, it does have some drawbacks, including the additional amount of time teachers must invest in preparing the video assignments, ensuring all students have access to the videos outside of school, and making sure all students complete their video-lecture assignments prior to class. The research literature indicates that there are evidence-based solutions to several of these drawbacks such as offering student incentives, giving quizzes and student feedback during the videos, and devoting some in-class time to check for student understanding (Educause, 2012; Brame, 2013). Research evidence has indicated significant student learning gains in the flipped classroom model (Brame, 2013), emphasizing the value of learning in a social context (e.g., discussion, project collaboration, debate, student-led inquiry, etc.). Not only is social learning maximized in a flipped classroom, the levels of learning are reversed in comparison to a traditional classroom; therefore, students are engaged in higher levels of cognitive work (in regards to Bloom’s revised taxonomy of learning) amongst their peers as they engage in lower levels of learning on their own outside of class (Brame, 2013). Online collaborative spaces unite educators’ interests in constructivism, classroom technology, and social learning opportunities in an innovative approach to critical thinking and hands-on learning. Also known as computer-supported collaborative learning (CSCL) (Resta & Laferierre, 2007; Deal, 2009), online collaborative spaces allow students the opportunity to work together in an interactive, flexible online environment. These online spaces promote communication across a variety of modes, including text, speech, and multimedia formats, reflecting Vygotsky’s theory of the importance of language use for learning. They may also provide for a greater diversity of participants than might otherwise be possible in a physical classroom, allowing more cross-cultural connections to inspire social learning. Through meaningful learning activities that include goals, student-driven interests and problem-solving skills, opportunities for collaboration and reflection, and adaptations to individual and cultural needs, educators can facilitate authentic experiences and learning communities for their students in these online spaces (Bonk & Cunningham, 1998). With an array of online resources available, there are a variety of avenues through which students can virtually collaborate. Deal (2009) proposed a process through which learning occurs in an online collaborative space: communication, team definition and participants, project management, resource management, co-creation and ideation, consensus building, and presenting and archiving. Initially, students must communicate and organize roles to complete an objective, which can be completed through online resources such as email, instant messaging, virtual conferencing (such as Skype or Google Hangouts), or discussion boards (Deal, 2009). In an online collaborative environment, students must also find ways to share and establish ideas through project management, resource management, and co-creation programs, such as Google Drive, Google Docs, wikis, and virtual whiteboards (Deal, 2009). Finally, once the project has been organized and at its final stage, students can use online resources to create a final product, such as a webinar, video, or slideshow. Throughout all components of the online collaboration process, teachers have opportunities for assessment, including evaluating the process, final product, or specific outcomes. Ultimately, as students make use of the variety of online resources to navigate a meaningful learning activity as prescribed by an instructor, social learning provides for the refinement of both content knowledge and critical thinking skills (Stahl, Koschmann, & Suthers, 2006; Scardamalia & Bereiter, 1994). When applying social perspectives of learning for K-12 learners and adults, it is important to establish learning teams with specific roles, identify authentic contexts, and scaffold learners. For learners of all ages, establishing roles provides support to students to facilitate the completion of learning activities (Antil, Jenkins, Watkins, 1998). Kagan (1999) developed the acronym PIES to represent elements of collaborative learning: positive interdependence, individual accountability, equal participation, and simultaneous interaction. Positive interdependence refers to the idea that the potential work that can be done by the group is greater than if each individual in the group worked alone. Individual accountability means that learners are each responsible for some aspects of the work. Equal participation refers to relatively fair shares of the work required. Simultaneous interaction refers to the idea that learners are working together at the same time on the project instead of a jigsaw approach where learners work on their own on separate pieces that are compiled at the end of the work. For instructional designers who are creating social learning experiences for adults, the tasks must be complex enough to foster positive interdependence and hold individuals accountable. This may include grouping individuals from different backgrounds. If employees of a bank were participating in training on new financial guidelines, an instructional designer may design learning activities in which teams encompassed a mortgage consultant, a retirement consultant, a manager, and a teller. The scenarios included in the training would vary as to require the expertise and background of each to be used in discussing and solving the problem. Leader/facilitator: Individual in charge of organizing the group and keeping the group on task. Recorder: Individual who records and organizes notes, information, and data. Timekeeper: Individual who keeps time and makes sure things are completed in a timely manner. The intentional establishment of learning teams is fundamental for both K-12 teachers and instructional designers in facilitating social learning experiences. As stated previously, social perspectives of learning embrace the idea of situated cognition that learning is embedded within specific contexts. For K-12 teachers, the challenge is identifying authentic contexts for learners. Culture, geography, and students’ backgrounds clearly must be taken into consideration when identifying contexts for social learning experiences. Students on the coast of Florida have authentic contexts that are different from those in a rural town in the midwestern United States. As a result, the development of curriculum, instructional materials, and resources for these types of experiences cannot be a one-size-fits-all approach, and should provide opportunities for teachers to modify the activities to ensure that they are authentic to their students. Further, it is critical to make sure that learning experiences provide opportunities for learners to work within an authentic context but also provide generalizations or opportunities to apply their knowledge and skills in other settings. For example, after high school students study economic concepts of supply and demand in the context of researching the prices of brands of clothes popular in that area, students should have opportunities to apply those concepts in a new context. For an instructional designer, an authentic setting is a realistic scenario the learners may experience. Instructional designers typically design training for individuals that is directly related to their work. For instance, creating training for lifeguards about CPR and first aid certification could include cases and scenarios that require multiple individuals to participate and collaboratively problem solve. This could include scenarios that require an individual to role play someone who is choking and groups of people to identify how to remove the object causing the individual to choke. During the learning segment individuals take turns role playing and collaborating to identify and solve various problems. In social learning experiences both K-12 teachers and instructional designers must create learning activities that include scaffolds and supports for learners. Social learning experiences are guided by teachers or learning facilitators without significant direct teaching and presentation. This does not mean that the teacher is absent or off in the corner; rather, they should leverage strategies such as posing questions, providing examples, or supporting students’ collaboration to support these learning experiences. Scaffolding can occur in a few ways. First, teachers can serve as a scaffold by providing initial guidance or questions to help students launch into the activity. As the activity continues, teachers can decrease or remove the amount of support that they provide or limit their support to specific instances, such as when learners are stuck and unable to continue with the task. An instructional designer may design training for salesmen in which learners collaborate to learn about new strategies and receive ongoing feedback from the facilitator and other employees. However, after time, the amount of feedback and support decreases. Similar types of support can occur in K-12 classrooms when teachers provide feedback and guidance early on and then withdraw the scaffolds over time. For example, in an elementary school mathematics classroom a teacher may provide a conversion table between units of measurement for a group project at first, and then after students have had time to work with the measurement units take the conversion table away. Second, teachers and facilitators can provide external scaffolds or learning tools. An instructional designer who is training salesmen about new procedures may provide a document and visual to help learners become familiar with the new procedures at the beginning of their learning experience, but after collaborative activities and feedback, the supporting documents may be removed, requiring learners to rely on each other or their memory. Likewise for K-12 teachers in a middle school science classroom, students studying landforms may be given access to an anchor chart or visual of different types of landforms initially to help them identify and classify landforms that they are learning about. After time, however, the teacher may remove the scaffold so that learners must rely on knowledge and each other as they lean on skills they have developed together. The amount of scaffolding that teachers should provide is a fine balance between teachers over-guiding on the one hand and on the other letting learners falter in a way that is not productive (CTGV, 1997). There are a variety of ways in which technology can support the use of social learning theories in the classroom. Through current and emerging online collaborative spaces, such as Google, Skype, wikis, and more, as well as hands-on collaborative technology in the classroom, such as SMART Tables and iPads, students have robust opportunities to experience meaningful collaborative learning in both physical and virtual settings that embody the tenets of sociocultural learning. Different technological and online tools can assist with greater communication strategies, more realistic simulations of real-world problem scenarios, and even greater flexibility when seeking to scaffold instruction within students’ ZPD. Embracing the use of technology within collaborative learning can also foster a more equal distribution of voices as compared to in-person groupings (Deal, 2009), potentially providing greater opportunity to ensure active participation among all students.Through using technology to support the implementation of social learning theories in the classroom, students experience collaboration while refining 21st century skills. While the array of technology available to support social learning is beneficial, the volume of resources available for online and in-person technology-based collaboration may be overwhelming to some groups of students. Considering the amount of scaffolding needed based on individual class needs may be appropriate to ensure technology is being used most productively. By providing students with useful resources in an online environment or being explicit about technology use within a physical classroom, students may be able to better focus on the actual problem-solving task rather than filtering through different platforms. Additionally, keeping in mind the purpose of sociocultural learning within technological contexts is important to the task of promoting online collaborative learning. For example, after differentiating instruction to meet individual students’ ZPD and organizing scaffolded activities, providing an authentic task in which students use technology to facilitate communication and the exchange of ideas (rather than simply as a tool to produce) would be integral to a social learning environment. Through use of online environments and organized activities, students could also have greater access to problem-based learning that reflects situated cognition, opportunities for cognitive apprenticeships, participation in flipped classrooms, and a range of experiences that promote the robust and diverse communication critical to Vygotskian theory. Careful consideration of appropriate guidance within the use of technology-based collaborative learning can enable the thoughtful design of learning that maximizes benefits promised by sociocultural learning theories. Vygotsky was instrumental in pioneering Activity Theory, a learning theory closely tied to the principles discussed in this chapter. Research Activity Theory and discuss how sociocultural learning relates to the main points of the theory. Name at least 3 ways in which language is important to learning according to the sociocultural theory of learning. Antil, L., Jenkins, J., & Watkins, S. (1998). Cooperative learning: Prevalence, conceptualizations, and the relation between research and practice. American Educational Research Journal, 35(3), 419-454. Bonk, C. J., & Cunningham, D. J. (1998). Searching for learner-centered, constructivist, and sociocultural components of collaborative educational learning tools. In C. J. Bonk, & K. S. King (Eds. ), Electronic collaborators: Learner-centered technologies for literacy, apprenticeship, and discourse (pp. 25-50). Mahwah, NJ: Erlbaum. Bransford, J. D., Sherwood, R. D., Hasselbring, T. S., Kinzer, C. K., & Williams, S. M. (1990). Anchored instruction: Why we need it and how technology can help. In D. Nix & R. Sprio (Eds. ), Cognition, education and multimedia (pp. 115-141). Hillsdale, NJ: Erlbaum Associates. Capraro, R. M., Capraro, M. M., Morgan, J. R. (2013). STEM project-based learning: An integrated science, technology, engineering, and mathematics (STEM) approach. Rotterdam, The Netherlands: Sense Publishers. Fogleman, J., McNeill, K. L., & Krajcik, J. (2011). Examining the effect of teachers’ adaptations of a middle school science inquiry-oriented curriculum unit on student learning. Journal of Research in Science Teaching, 48(2), 149-169. Garcia, E. (2017). A starter’s guide to PBL fieldwork. Retrieved from: https://edtechbooks.org/-tM. Garrison, D. R., Anderson, T., & Archer, W. (2000). Critical inquiry in a text-based environment: Computer conferencing in higher education [https://edtechbooks.org/-ZVv]. The Internet and Higher Education, 2(2-3), 87-105. Garrison, D. R., & Akyol, Z. (2012). The community of inquiry theoretical framework. In M. G. Moore (Ed). Handbook of Distance Education (3rd edition), 104-120.
of elementary mathematics environments: Do constructivist innovations and reforms make a difference? American Educational Research Journal, 38(3), 611-652. Kagan, S. (1999). The “E” of PIES. Retrieved from: https://edtechbooks.org/-CH. Kagan, S. (1994). Cooperative Learning. San Clemente, CA: Kagan Publishing. Kozulin, A. (1990). Vygotsky’s psychology: A biography of ideas. Cambridge, MA: Harvard University Press. Maniotes, L. K. (2005). The transformative power of literary third space. Doctoral dissertation, School of Education, University of Colorado, Boulder. Miller, P. (2011). Theories of developmental psychology (5th ed.). New York, NY: Worth Publishers. O’Grady, G., Yew, E., Goh, K. P., & Schmidt, H. (Eds.). (2012). One-day, one-problem: An approach to problem-based learning. Springer Science & Business Media. Oliver, K. M. (2016). Professional development considerations for makerspace leaders, part one: Addressing “what?” and “why?” TechTrends, 60 (2). pp. 160–166. Palincsar, A. S. (1998). Social constructivist perspectives on teaching and learning. Annual Review of Psychology, 49. pp. 345-375. Reeves, T. C., Herrington, J., Oliver, R. (2002). Authentic activities and online learning. In A. Goody, J. Herrington , & M. Northcote (Eds. ), Quality conversations: Research and development in higher education, Volume 25 (pp. 562- 567). Jamison, ACT: HERDSA. Rogoff, B. (1990). Apprenticeship in thinking. New York: Oxford University Press. Scardamalia, M. & Bereiter, C. (1994). Computer support for knowledge building communities. The Journal of the Learning Sciences, 3(3), 265-283. Soja, E. W. (1996). Thirdspace. Malden, MA: Blackwell. Stahl, G., Koschmann, T., & Suthers, D. (2006). Computer-supported collaborative learning: An historical perspective. In R. K. Sawyer (Ed. ), Cambridge handbook of the learning sciences (pp. 409-426). Cambridge, UK: Cambridge University Press. Vygotsky, L. S. (1978). Mind in society: The development of higher psychological processes.Cambridge, MA: Harvard University Press. Vygotsky, L. S. (1986). Thought and language. A. Kozulin (Trans.) Cambridge, MA: The MIT Press. Watson, S. L. & Reigeluth, C. M. (2016). The learner-centered paradigm of education. In R. West (Ed.). Foundations of learning and instructional design technology. Retrieved from https://edtechbooks.org/-qf. Drew Polly is an Associate Professor in the Department of Reading and Elementary Educationat the University of North Carolina at Charlotte. His research interests include supporting standards-based pedagogies in mathematics and supporting technology-rich learner-centered tasks in elementary school classrooms. Drew also serves as the Co-Director of the UNC CharlotteProfessional Development School Network, as well as the Program Director for the Graduate Certificate Add-on Licensure Program in Elementary School Mathematics. 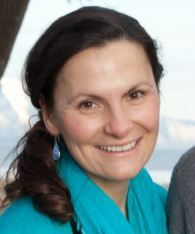 Bohdana Allman is a Ph.D. student in Instructional Psychology and Technology at Brigham Young University. Her interests are effective pedagogical practices and design for online and blended teacher professional development. She has been involved in developing materials, research, and teaching a variety of college-level courses to teacher candidates and in-service teachers as part of the TELL (Teaching English to Language Learners) program since 2000. 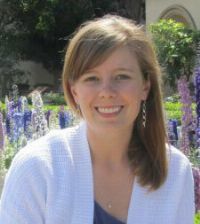 Amanda R. Casto is a doctoral student at the University of North Carolina at Charlotte. Her primary research interests are elementary STEM education and educational equity. She has more than ten years of experience in teaching K-8 students in a variety of educational settings. She has presented workshops at the NCCTM Annual Regional Conferences, NCTIES Annual Conference, and was the keynote speaker at the WNC Edcamp in 2015. 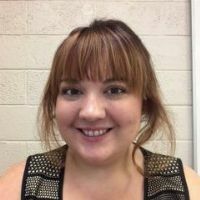 Jessica Norwood is a doctoral student at the University of North Carolina at Charlotte studying Curriculum and Instruction for Urban Elementary Education. Her research interests include inquiry learning in social studies, the marginalization of social studies at the elementary level, civic education, and the sociology of education. Her current work details the challenges faced by a maverick social studies teacher confronting the restraints of an accountability-driven school environment.